Would you like to take a trip to an idyllic island far out at sea? Go to the Lauer islands! «I’m most at home in open landscapes, near the sea I want to live”. Such is the opening line of Swedish artist Ulf Lundell's beloved and popular song, "Open Landscapes". The song fits the Lauer islands very well. These naked islands are located 10 minutes by ferry south-west of Skjærhalden. There are beautiful white-painted cottages with small gardens on Nordre Lauer. The remaining summer houses can be found on Søndre Lauer, where there are excellent conditions for angling. 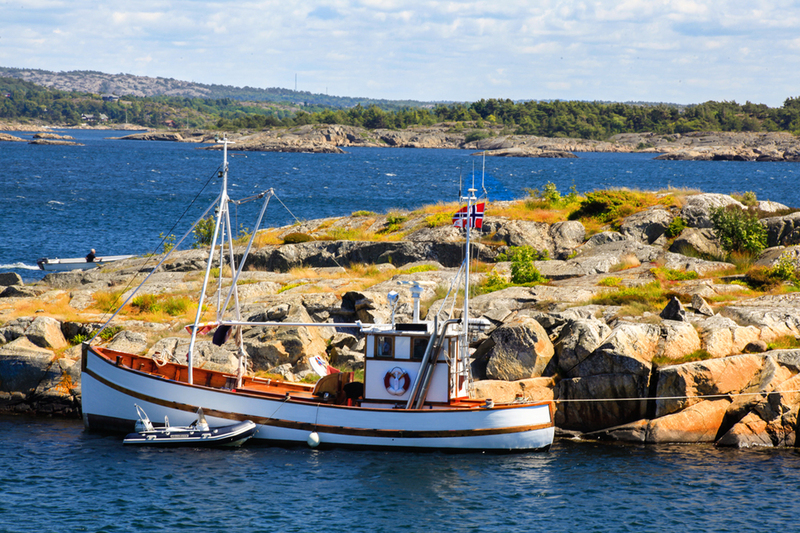 Lauer was previously an important center for the extensive herring fishery in Hvaler. Today Lauer is a holiday resort with about 50 cabins. Here is nothing much else to do than just let life take its course and enjoy the sun and salty swims, which suffices perfectly for most people. If you move away from the cabin area on Nordre Lauer and follow the path down to the "Sauehølet", a deep ravine surrounded by dense brushes and small trees, you will have a sense of lush rain forest. Isn't it funny that of all places on earth you should find this exotic natural element on the almost naked Lauer? After you're out of the ravine, walk over a hill and on to a pier that leads you to the Rødskjær islet. Here is a nice recreational area and great swmming off the rocks. Sunbathers have great conditions here. Lauer has no kiosks or cafes so remember to bring your own lunch and something to drink. 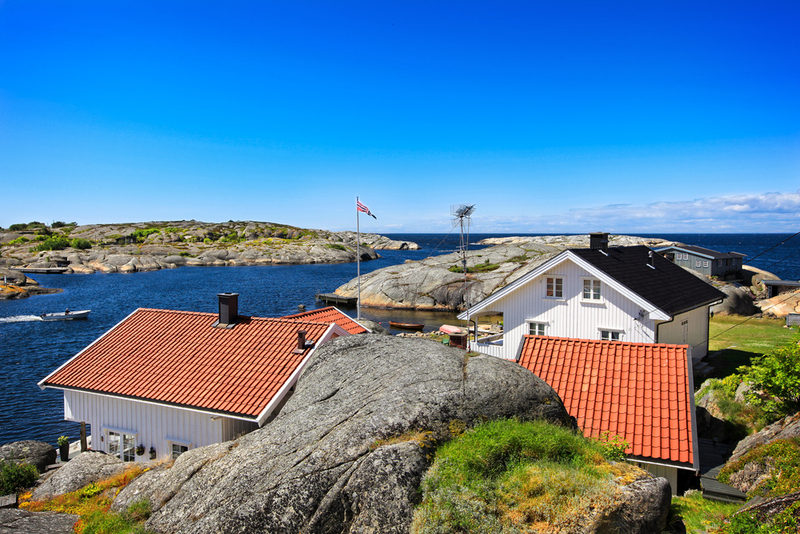 Lauer is located in the most western part of the Hvaler Archipelago. Lauer is an island with magnificent scenery and swim spots.